India agreed to lease the second Akula-class submarine from the Russian Navy, local media reported Tuesday citing a source in the military. In 2010, India began a 10-year lease of the nuclear-powered attack Akula-class submarine Nerpa. After joining India’s Navy, the submarine was renamed to INS Chakra. “India agreed to lease a project 971 submarine which will be withdrawn from the Russian Navy,” the source told Kommersant newspaper. Akula-class submarines feature very low acoustic signatures and can carry up to 12 submarine-launched cruise missiles with nuclear warheads and a range of 3,000 kilometers (1,860 miles) in addition to anti-ship missiles and torpedoes. 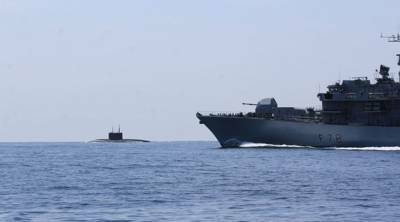 The Russian Defense Ministry said that it was surprised the UK needed NATO to find a Russian submarine traveling at slow speed. MOSCOW The Russian Defense Ministry said Wednesday it would be “strange” if the UK navy failed to notice Russia’s Stary Oskol submarine as it slowly travelled toward the Black Sea Fleet.Earlier in the day, it was reported that that a Russian submarine had been “intercepted” as it was expected to pass the strait of Dover, thanks to joint UK-NATO efforts. “The Russian Defense Ministry is surprised that joint UK-NATO efforts were required to discover a submarine traveling in a surfaced position at slow speed, accompanied by a tugboat. It would have been strange if the Royal Navy together with its NATO allies failed to notice the submarine, particularly considering the fact that our sailors have been greeted — according to an old tradition — by passing merchant vessels from different countries in the Barents, Norwegian and North seas over the past days,” the ministry said in a statement. “We really plan to purchase amphibious planes developed by the Sukhoi design bureau and Kilo-class submarines from Russia,” the diplomat said. “We’re working on these purchases,” he said. “Relevant Russian specialists will be invited to Indonesia,” he added. According to the Indonesian diplomat, Jakarta is interested in developing military and technical cooperation with Russia. “Russian products in the sphere of the defense and industrial sector are no inferior to Western analogs. It is worth noting Russia’s considerable successes in the sphere of military and technical cooperation,” the ambassador said. “We hope for close interaction in this field,” he added. In reply to TASS’ specifying question later, the ambassador said Indonesia wanted to buy two Russian submarines. “We hope that the contact with Indonesia will be one of the first contracts in the sphere of military and technical cooperation. We note great interest from foreign buyers. This interest is explained by the plane’s uniqueness and its capabilities. This is the sole amphibian jet with such functions,” president of Russia’s United Aircraft-Manufacturing Corporation (UAC) Yuri Slyusar told TASS, adding that Thailand was also displaying interest in the plane. QUITOL /India/, March 28. /TASS/. The Indian Navy is keenly interested in purchasing Russian surface and submarine equipment and localization of the vessels’ manufacturing in India, Russian Deputy Minister of Industry and Trade Alexander Potapov told reporters on Monday, commenting on his meeting with the Indian Navy representatives. “The Indian Navy have displayed a keen interest in cooperating with us both in the sphere of surface and submarine fleet, starting from issues of purchasing ready-made equipment and localization of its production in India,” Potapov said on the sidelines of the Defexpo India 2016 exhibition. He did not specify the equipment in question. The deputy industry and trade minister also said that during the exhibition he also intended to meet Indian Defense Minister Manohar Parrikar and his deputy who is in charge of industrial production and the “Make in India” concept. “I think that during these discussions we’ll outline the plans that are now being implemented and the implementation of which will be accelerated,” Potapova added. According to previous reports, the relevant issues for the sides’ negotiations were leasing to India of the second nuclear-powered submarine of Project 971 (the first such submarine was received by the Indian Navy in 2012), as well as the supply of three frigates of Project 11356 (six ships of the Talwar project have entered service). Earlier in March, President of the Russian United Shipbuilding Corporation Igor Ponomaryov said that Russia was in negotiations on the sale to India of three frigates that had been designed for the Russian Black Sea Fleet. Russia’s Rosoboronexport arms exporter said later that negotiations started on organizing the manufacturing of ships of this class in India. In case of the technology transfer, the ships may be co-produced either in both countries or in India alone. India had acquired from Russia six Talwar-class frigates – three built by Baltiisky Zavod in St. Petersburg and three more by Yantar in Kaliningrad from 2003 to 2013. A TASS source close to military-technical cooperation said previously that the Russian Defense Ministry had decided to reallocate the money earmarked for the second troika of Project 11356 frigates to pay for other ships it badly needs. The discussions between the military and the Federal Service for Military-Technical Cooperation led to the opinion that the frigates can be offered for export. All of the components of the first three Project 11356 frigates, including the Ukrainian-made propulsion plants, have been received. 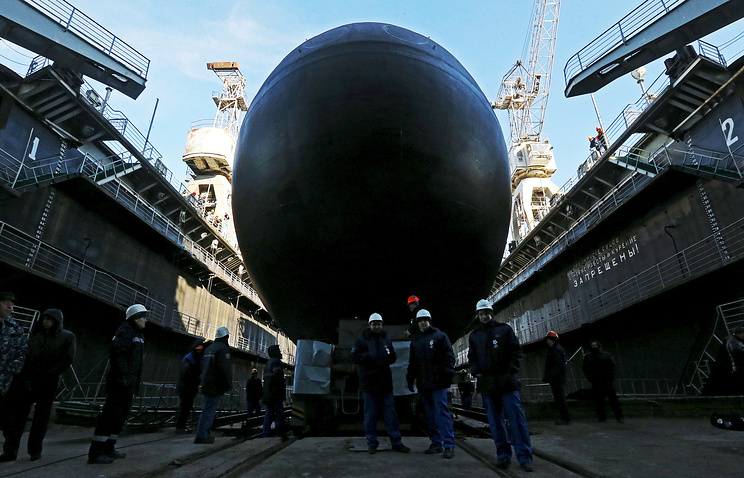 At the same time, the other three frigates lack propulsion plants, the production of which is to be launched by defense contractor Saturn in the city of Rybinsk under the import substitution program. Saturn can manufacture the power plants in 2019-2020 at the earliest, but the schedule does not suit the Russian Navy.